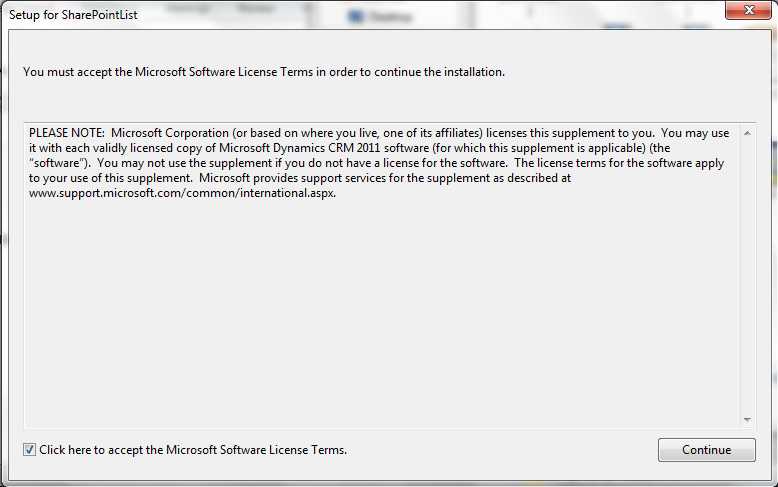 In the latest SharePoint Online Service Update (SU1), support for CRM List Component was added to SharePoint Online. This means that now Office 365 customers will be able to integrate their SharePoint Online environment with CRM Online. 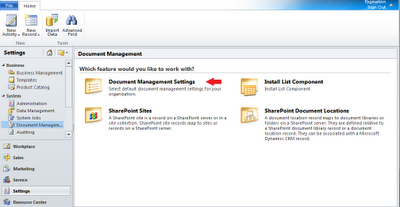 This will bring all the advantages of document management of SharePoint into CRM Online environment. This integration enables you to define which CRM entities (such as Accounts, Articles, etc.) 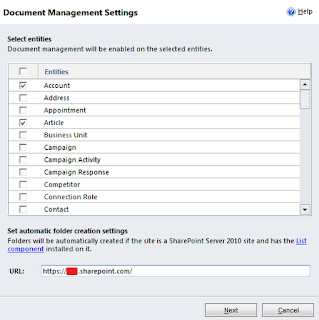 need to have document management enabled on, and this will allow automatic folder creation in SharePoint Online directly from your CRM Online environment. Please note that you must be a SharePoint site collection administrator to be able to install the Microsoft Dynamics CRM List component on SharePoint Online in your Office 365 account. a) To start the download, click Download. b) To save the file to your computer, click Save, specify a location, and click Save again. 2. 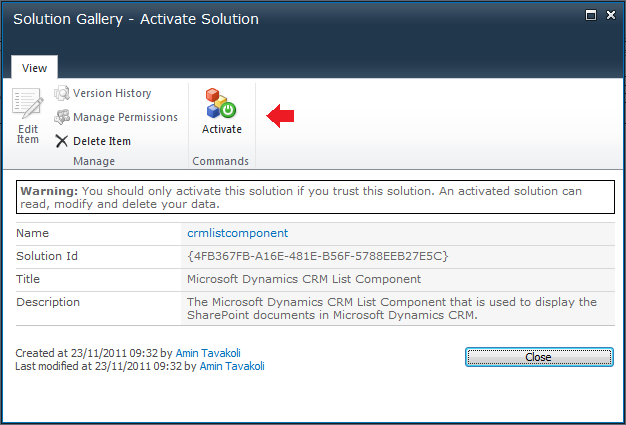 Navigate to the folder where you downloaded CRM2011-SharePointList-ENU-amd64.exe, and double-click it. 3. 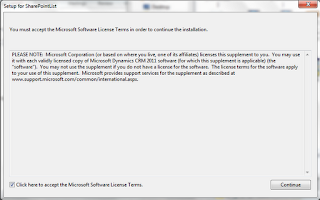 In the Setup for SharePointList dialog box, check the Click here to accept the Microsoft Software License Terms box and click Continue. 4. Select a folder to store the extracted files, and click OK.
6. In the address bar, type the URL of your SharePoint Online site (on Office 365) on which you want to install the Microsoft Dynamics CRM List component. 7. Click Site Actions, and then click Site Settings. 8. Under Galleries, click Solutions. 9. 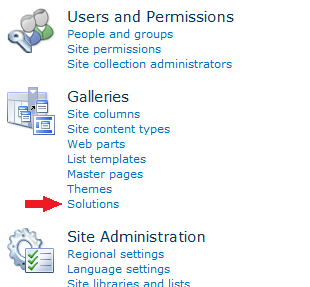 On the Solutions tab, in the New group, click Upload Solution. 10. 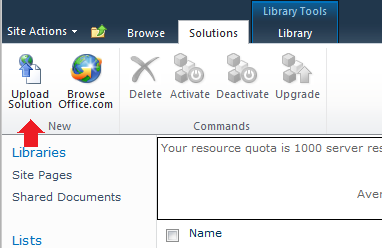 Click Browse, locate the crmlistcomponent.wsp file, and then click OK.
11. 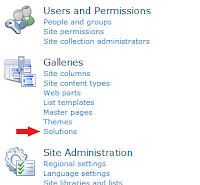 On the Solutions tab, in the Commands group, click Activate. 13. 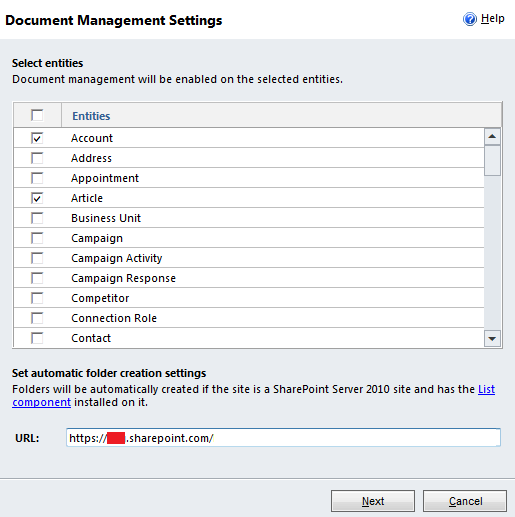 Select the entities that you want to enable document management on them and enter the address of your SharePoint site which the SharePoint List component is installed. 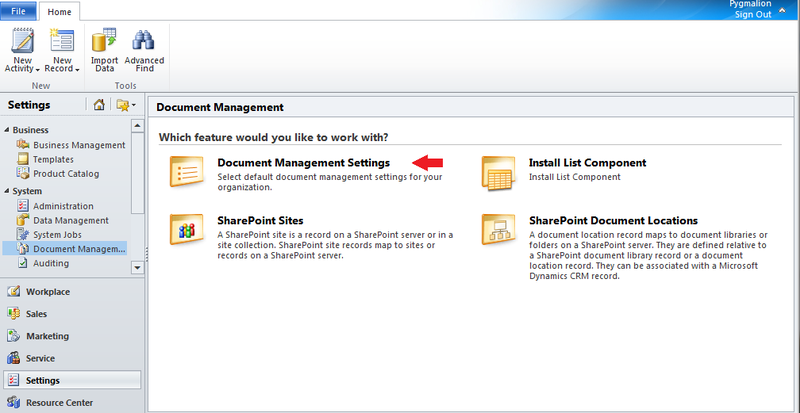 What version of SharePoint Online do I need? Plan 1 or Plan 2?